Most students will find the 1600+ practice questions on this site more than enough to prepare for the GRE. However, if you find that you need additional practice, go with high-quality questions from reputable sources. Below are some sources of great GRE practice questions. 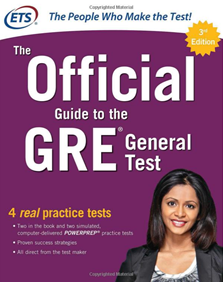 This resource is an absolute must for anyone preparing for the GRE. It features hundreds of retired (once on the actual test) practice questions. So, they will give you the best idea of the types of questions you’ll encounter on test day. You also get four full-length practice tests—two in the book, and two on an enclosed CD-ROM. 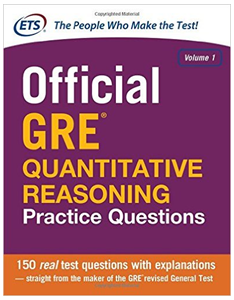 This book features 150 retired GRE Quantitative questions and solutions. 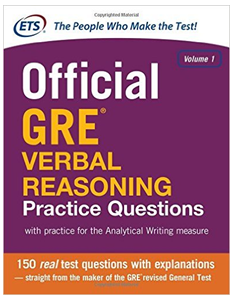 This book features 150 retired GRE Verbal questions and solutions. This site was started by the people behind GMAT Club, a popular GMAT discussion forum, so I suspect that their new GRE forum will soon be equally as popular. If you’re shooting for a quantitative score that ranks among the best, check out these challenge questions. If you really like them, you can purchase an entire set (over 150) of them. If you enjoy my course, tell a friend.